There was a certain amount of dissension in the ranks at the early start of 06:30. Winter mornings at Shongweni can be cold and Saturday was no exception it was very chilly! Before we got going Dave Rimmer lined us up for a group pic, each holding a sheet of paper spelling out #SAVE OUR FLUFFTAILS. Dave explained that it is to raise awareness of the plight of the Flufftails. 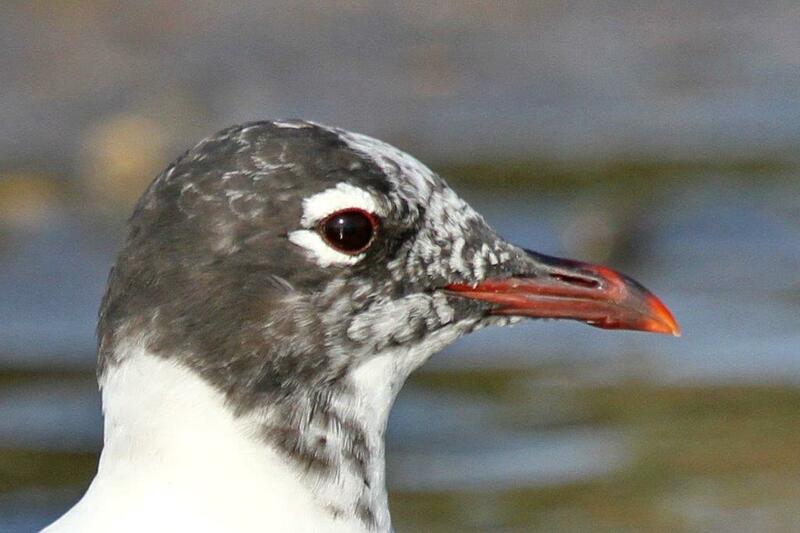 There were about 20 of us (a few late risers) and our bird count was in the region of 80 plus. 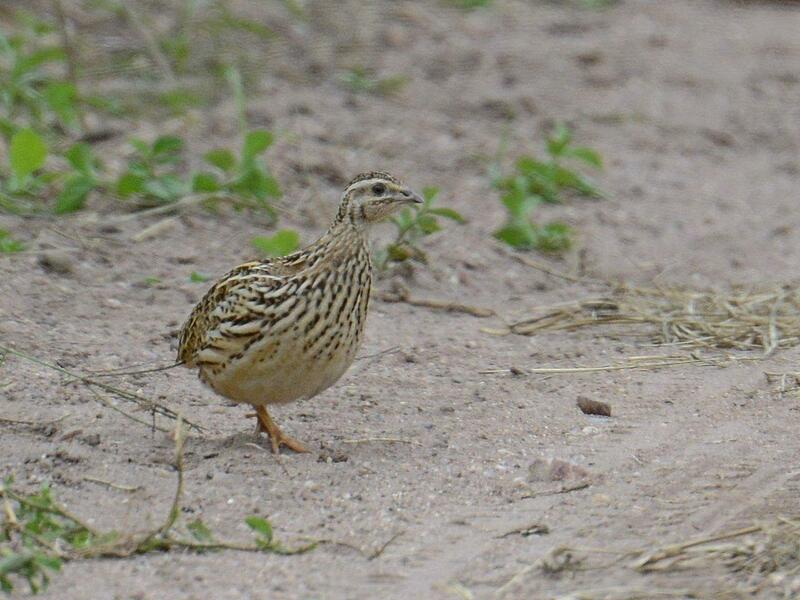 The ‘Bird of the Day’ had to be the Common Buttonquail – a pair were flushed on the walk to the ‘soccer field’. Later on a single bird was flushed but a Yellow-throated Longclaw was flushed at the same time – some of us followed the Longclaw!! 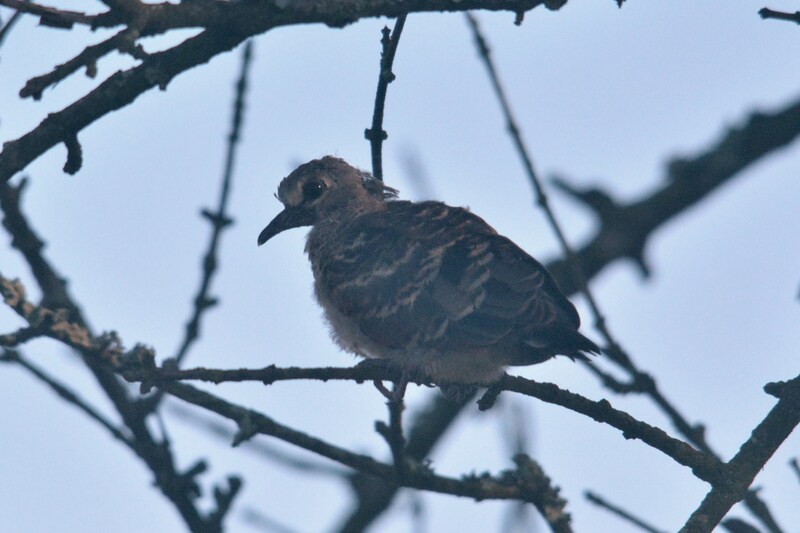 Walking back along the road to the office we came upon an Emerald-spotted Wood-Dove chick. Too cute!! It flew well but only for a short distance and we heard Emerald-spotted Wood-Doves calling in the vicinity. Great views of African Fish Eagle together with a sub-adult and we saw these birds a number of times soaring overhead. NB: what we thought was a Lanner Falcon is in fact a juvenile Black Sparrowhawk – (as per Dave’s pic – especially for those who keep lists of what they see). The White-necked Ravens were picked up on the cliff face. Whilst sitting at the ‘Giant Steps’ we had superb views of Purple-crested Turaco coming down, a number of times, to drink from the shallow pools in the river. Giant, Brown-hooded and Malachite Kingfisher, Grey Cuckoo-Shrike and Yellow Weaver. 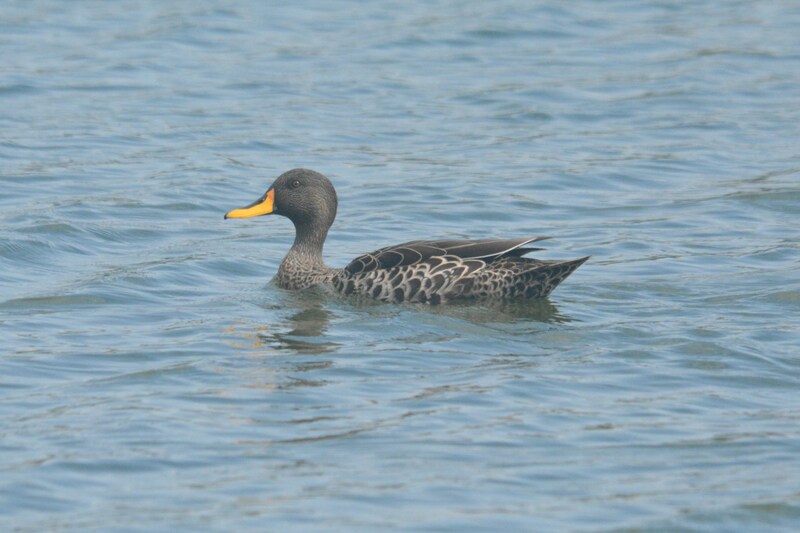 At the river (by the tunnel) we picked up African Pied, Cape and Mountain Wagtails and a brief glimpse of African Black Duck. A huge flock of African Black Swifts high up in the sky and Rock Martins by the cliff but no positive ID’s of any swallows. 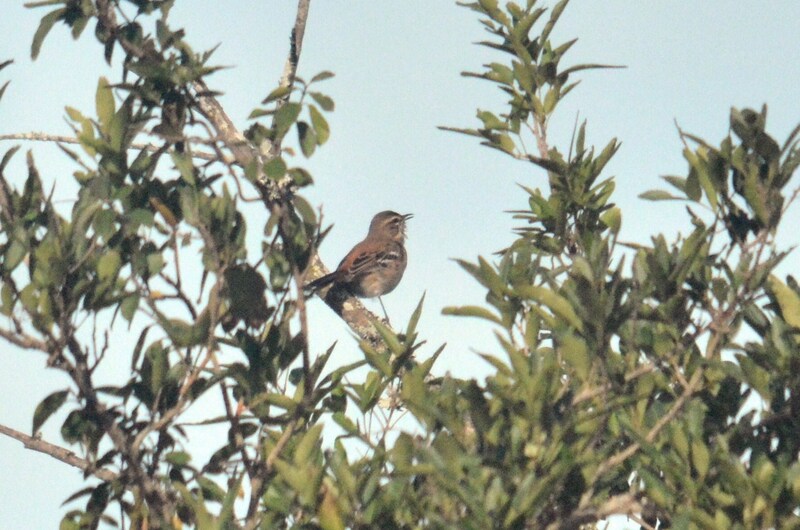 When the birding got a little slow we chased down a White-browed Scrub Robin – we were intent on seeing the bird. Plenty of Darters, Yellow-billed Ducks, Egyptian Geese, Reed and White-breasted Cormorants. Whilst having tea down by the camp/picnic site we picked up Common Moorhen, Red-knobbed Coot, African Jacana and Blacksmith Lapwings. 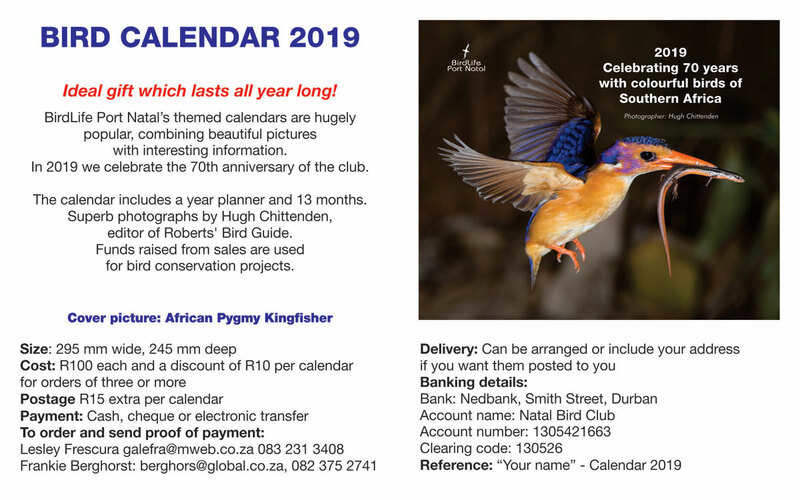 Lots of Cape Glossy and Red-wing Starlings, Green Wood-hoopoes, Crested and Black-collared Barbets, Cape and Chinspot Batis, Lazy Cisticolas, Neddicky, Yellow-fronted Canaries, Southern Grey-headed Sparrows, Trumpeter and Crowned Hornbills, Helmeted Guineafowl and lots, lots more. And of course there were numerous butterflies to photograph – some unidentified. My thanks to Oscar for leading the one group and thanks to Dave and Decklan for the super pics. We had a great mornings birding. 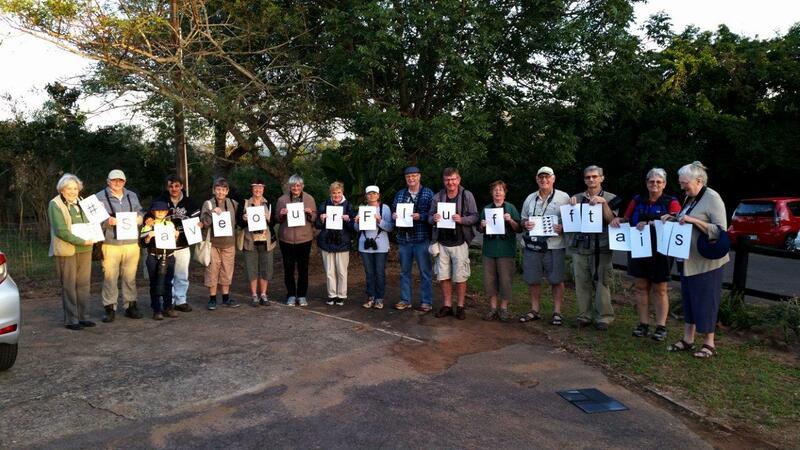 This entry was posted in Activities, Home, Posts, Reports and tagged Elena Russell, Shongweni. Bookmark the permalink.